Excited to be running a new workshop at the London Centre for Book Arts, Hackney Wick, on Sunday 10th July. 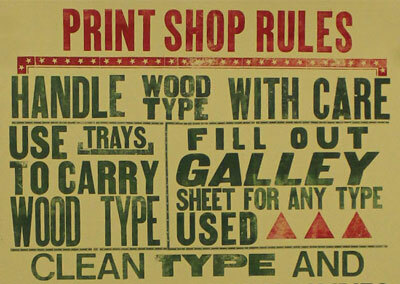 Join us at the print studio of the London Centre for Book Arts to Create your own letterpress poster using the Centre’s collection of wood and metal type as well as new custom made laser cut ornaments. Starting with a look through Mark’s Letterpress printed poster archive to see different techniques in action, workshop participants will then have an introduction to the composing room, and will be introduced to the Vandercook, FAG and Stephenson Blake presses. 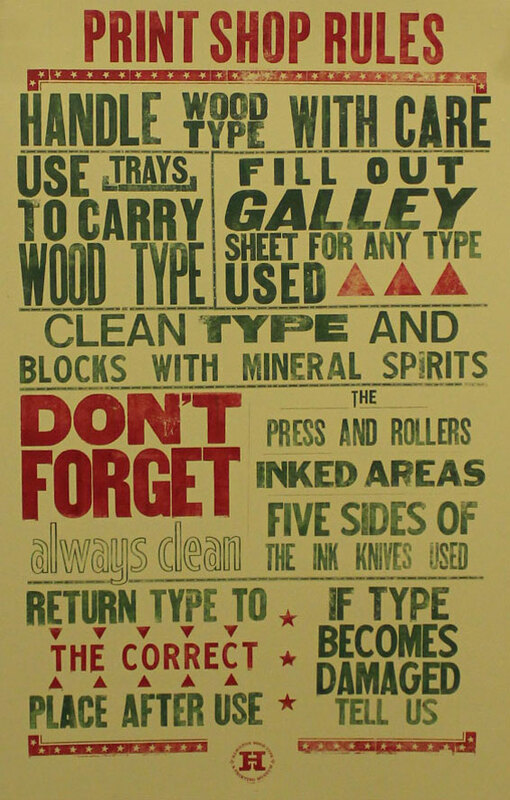 Participants will learn hand typesetting, how to lock up your work into a forme, how to set up the press, and a variety of different traditional and contemporary inking and compositional techniques available to poster artists. 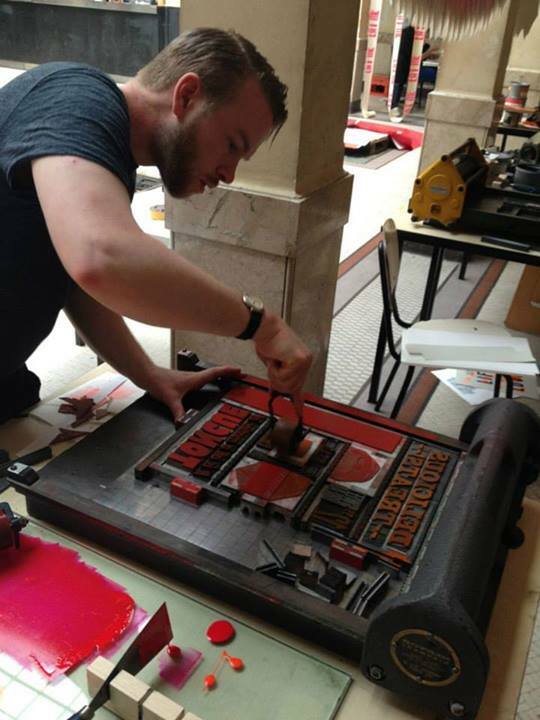 During this day-long workshops, participants will be guided to compose, proof and print an edition of 10, two colour A3 letterpress posters. All tools and materials provided. 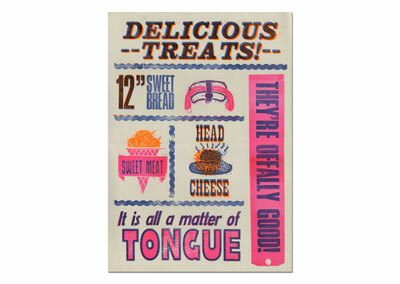 Come prepared with a few ideas or phrases/slogans for a poster design. This workshop is perfect for people with no prior experience to learn how to prepare work, and print on a press from start to finish. 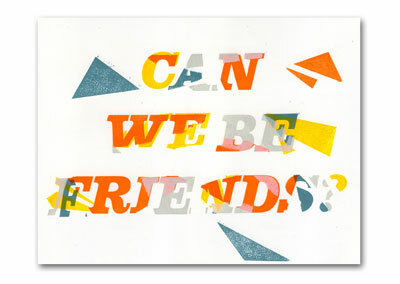 Mark Pavey is a designer, printmaker and educator based in London.